Connacht GAA confirmed yesterday evening the details of dates, times and venues for this year’s Senior and Junior Connacht football Championships. Those details are here. In the Senior Championship, the fun and games start for us, of course, over in New York where, on 5th May, we take on the Exiles at Gaelic Park. That match is set to throw in at 2.15pm local time. The next date to be pencilled into the diary for us is Saturday, 25th May. 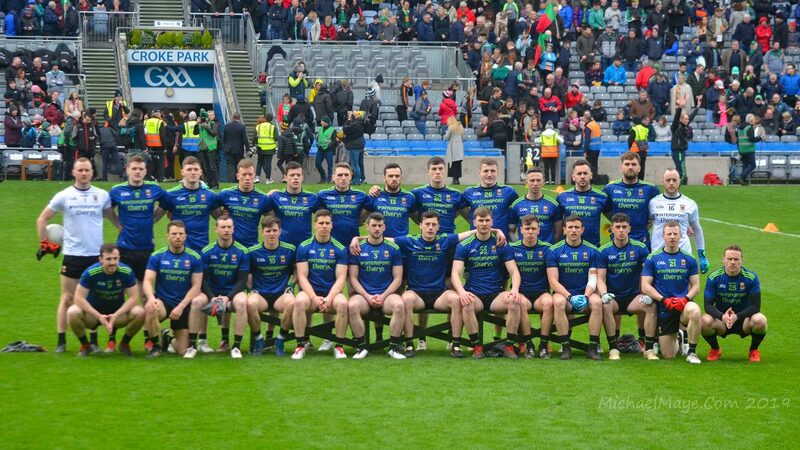 The winners from the New York game are scheduled to play the victors of the Roscommon/Leitrim quarter-final – which is fixed for Hyde Park on 12th May (throw-in 3.30pm) – that day. If it’s us against Leitrim the game will be played at Páirc Seán MacDiarmada, if it’s Roscommon it’ll be at MacHale Park. Either way it’s a 7pm throw-in. The Connacht final – an event we haven’t been involved in, lest we need reminding, for the past three years – is scheduled for Sunday, 16th June with a 4pm throw-in. The venue for the Nestor Cup decider depends on who’ll be in it and will be confirmed later. The JFC ties have all been fixed as curtain-raisers to the Senior matches. We’re straight into the Junior semi-final – where we’ll face either Leitrim or Roscommon – and this will be played on 25th May at 4.30pm (either at Páirc Seán or Castlebar). The JFC provincial decider throws in at 1.15pm on 16th June at wherever the Senior final is fixed to be played. If there are people going to the NY game, would any be able to stream this via facebook live or Periscope?. Would be eternally grateful (as would many others no doubt) for any such streams. FBD, if the crowd is anything like the last time (and early indicators point to it being much worse) you will need a Periscope just to see the game! Can someone educate me on this? A Mayo bs Galway championship will be played in Galway, yes? Hope to use those airlines miles to fly over for that, assuming Galway makes it lol. Only my brother and me, not 4,000 of us! Am I missing something folks, but the amount of ‘mayo fans’ out there who are telling me, “we’re better off NOT getting to a league final”, I mean WTF !! Looks like we’re finally going to get a commercial manager. Years later than it should have been, but still a welcome development. See the attached link for the role. Really encouraging that the role of commercial manager is now going to be filled. Long overdue and should really help to put us on a sustainable footing in terms of revenue. Good news about the commercial manager job. Absolutely necessary as being a Co Treasurer must have been an impossible task. On a slightly less important issue, can anybody tell me why the Connacht Junior final is fixed at 1.15 pm when the Senior final is not until 4 pm? Are they afraid that people will want to go the Junior final? Sorry Willie Joe, but i’m overjoyed about this move to Saturday. Would not have been able to travel on Sunday due to family commitment, but this will work perfectly. Connacht final and super 8 first match (yes I am getting ahead of myself) in grave doubt though. Right so, then, Catcol, you’re on duty that day! Team picked up on mayo gaa there will be some happy supporters diskin starting plus few more? Fergal Boland deserves a start after his cameo off then bench last week. Great to have Paddy Durcan back on the half-back line too.